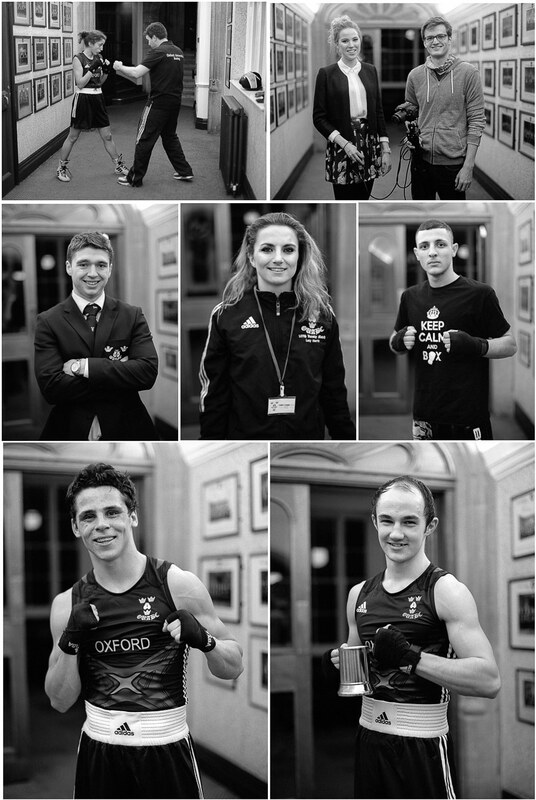 It was nice to see some familiar faces at this years’ Town vs Gown Boxing competition at the Oxford Union, especially some of the team from last year who had come to cheer on Oxford. Last year was my first time photographing this event and I had no idea what to expect when I arrived there. This year was very different because this time I had access all areas and I also had last years’ pictures to live up to (which can be seen here and here). After much deliberation on which cameras and film to take with me I eventually decided that I wanted to make some portraits on medium format but the difficult part was choosing which medium format camera to take. In the end I went for my Mamiya 645 Pro TL because it’s the one that I own with the fastest lens and not only did I want a shallow depth of field but I also knew that the light levels inside the Oxford Union are fairly low. The 80/1.9 lens that I took with me is quite unforgiving when it comes to focussing it at anywhere near to wide open and the focussing screen that came in my camera (I’m not sure if it’s the standard stock screen) is very bright and clear which actually makes it more difficult to tell whether something is in focus or not so the sharpness in some of the shots below is lacking. The Mamiya 645 Pro TL is a nice camera to use but the thing I hate most about it is the shutter release travel feels like it goes on forever which can cause movement of the camera (in my experience) just before the shutter fires. I have a motor-drive for mine which came with the camera but I haven’t used it yet because once you’ve loaded the grip with AA batteries it adds quite a bit of weight to it as well as increasing the overall size. [Tech info:] Mamiya 645 Pro TL, 80/1.9, Kodak Tri-X 400 @ ISO 1600, processed in Kodak HC110 (1+31) for 16mins. 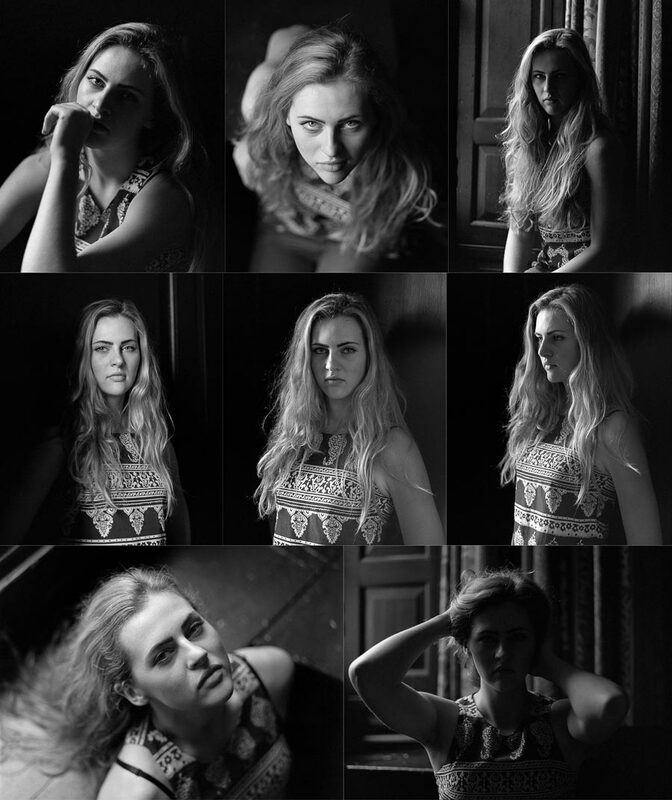 Here’s a set of images from my first shoot I had with Charlie. This was a very quick shoot using only natural daylight coming in through a large window in the late afternoon. I decided to take the opportunity to test out a lens that I’ve had sitting around for quite a while but have never used, a 110mm f2.8. One of my favourite lenses for my Mamiya 645 is the 80/f1.9 and I use it so often that you’d think it was welded on but the depth of field at f1.9 is so shallow that I tend to use that lens mostly at f2.8. When I decided to test out my 110/f2.8 lens I used it wide open at f2.8 for these shots. I really like how these shots turned out but I need to do further testing outside with more distance to the background so that I can see what the bokeh is like with this lens. [Tech info:] Mamiya 645 Pro TL, 110/f2.8 lens, loaded with Kodak Tri-X 400 film, processed in Kodak HC110 1+31 (dilution b).